1. Weapon threat followed by the victim's right upper arm being held in the attacker's left hand and the victim led away. 2. Approach from behind and a rear neck or head lock applied and the victim dragged away. 3. Approach from behind and the victim grabbed around the waist and dragged away. 4. Victim pinned to a wall with a throat grab with the attacker's left hand. Weapon threat made and then the victim led away. 5. Approach from rear, front or side and hair grabbed with the left hand and the victim dragged away. This video covers wrist and arm grabs, hair grabs, body grabs, chokes and headlocks coming from behind. 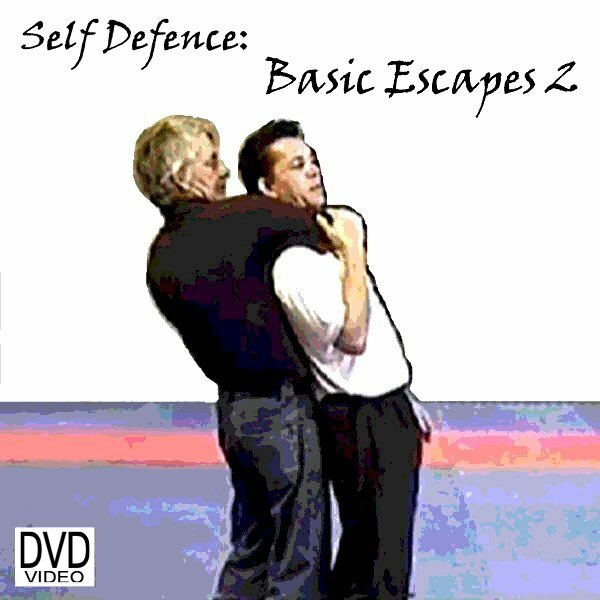 This DVD is the second of a set of videos demonstrating escapes from various holds and grabs. During performance each response has a voice-over description of the movements involved at normal speed and in slow-motion. 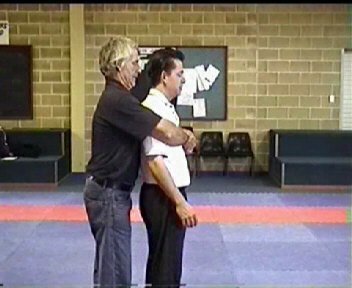 The video details responses to attacks coming from behind including wrist and arm grabs, hair grabs, body grabs, chokes and headlocks. 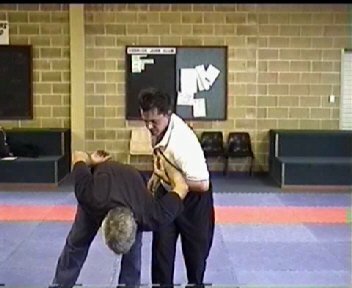 The various responses follow a common theme of movements so that the student does not have to learn and practice a large number of different responses to cater for different grabbing attacks. Instead the escapes shown apply methods involving a small number of responses which can be applied to a range of attacks.